As 3D printing becomes popularized, the opposite, milling (i.e. removing instead of adding material) is trying to reach the same tipping point. 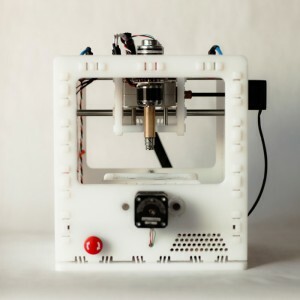 Over at kickstarter, the Othermill has achieved funding. Milling opens the possibilities of working with a wider set of materials. It also makes it possible to create custom PCBs in a snap. No more chemicals and manual drilling. As the technology is similar to that of 3D printing, a large part of the needed work is already out there – electronics, g-code interpreters, etc.